Washington, D.C. (January 23, 2019) –– Four educators with diverse teaching styles and who teach different subjects have been selected as finalists for the 2019 National Teacher of the Year. Donna Gradel, the 2019 Oklahoma Teacher of the Year, a high school science teacher who empowers her students to discover ways they can improve their local environment, including helping their city to develop and implement sustainable solutions to improve the water quality and natural habitats of the city’s waterways. Kelly Harper, the 2019 District of Columbia Teacher of the Year, a 3rd grade teacher who leads her students to work on advocacy projects throughout the year, even going so far as meeting with members of Congress in the U.S. Capitol Building. Danielle Riha, the 2019 Alaska Teacher of the Year, a middle school teacher has learned from Yup’ik Elders how to incorporate indigenous knowledge which she applies in a culturally infused curriculum with her students at the Alaska Native Cultural Charter School that she helped open to increase opportunities for students to connect to their identity and community. Rodney Robinson, the 2019 Virginia Teacher of the Year, who teaches social studies in a juvenile detention facility, creates a positive school culture by empowering his students – many of whom have experienced trauma -- to become civically-minded social advocates who use their skills and voices to affect physical and policy changes at their school. 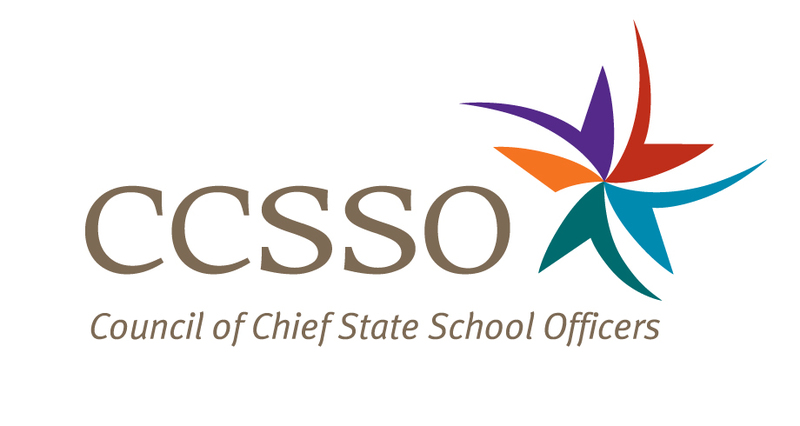 The National Teacher of the Year Program, run by the Council of Chief State School Officers (CCSSO), identifies exceptional teachers nationwide, celebrates their effective work in and outside of the classroom, amplifies their voices and empowers them to take part in policy discussions at the state and national levels. One of the finalists announced today will be named the 2019 National Teacher of the Year (NTOY) this spring by a national selection committee and will spend the next year traveling the country as an ambassador for education and an advocate for all teachers and students. Each year, since 1952, the President of the United States has recognized the National Teacher of the Year at a White House ceremony in the spring. Donna Gradel teaches Environmental Science and Innovative Research in Broken Arrow, Oklahoma, where she is committed to unlocking the potential of her students by giving them opportunities to tackle real-world problems. She and her students created the Aqua for Tharaka campaign, which, for seven years, has provided clean water and protein for orphans in Kenya. Under Gradel’s leadership, Broken Arrow High School was the first Oklahoma school to receive a Lemelson-MIT InvenTeam grant, which provided funding for her students to research and develop a low-cost, sustainable fish food for developing countries. Gradel is an executive committee member and co-founder of the “Together Project,” a collaboration between the city of Broken Arrow and Broken Arrow Public Schools dedicated to finding environmentally friendly ways to restore and enhance the city’s waterways. Gradel serves as her school’s science department chair and is an advocate for STEM curriculum and facilities. In 2015 Gradel was one of ten educators throughout the nation to the receive the Henry Ford Innovation Nation Innovative Teacher Award. She was the recipient of the 2017 Presidential Innovation Award for Environmental Educators recognizing her innovative approach to environmental education. She is an Oklahoma girls’ basketball state championship coach and Survivor Co-Chair for Tulsa’s Susan G. Komen Race for the Cure. Gradel holds a Bachelor of Science and Master of Science from West Virginia University. To read Gradel’s entire National Teacher of the Year Application, click here. Kelly Harper is a 3rd grade educator who believes that education is a powerful tool for dismantling the school-to-prison pipeline and a transformative tool for combating injustice. Her students engage in culturally relevant lessons, and she embeds social-emotional learning to support her students’ learning journeys. Harper is completing her seventh year as an educator and began her education career as a Teach For America corps member in Houston, Texas. Harper led her students to significant gains and was the 2014 Sue Lehmann Excellence in Teaching Award Houston Finalist and National Nominee. Desiring to return to her native Washington, D.C. metropolitan area, Harper began teaching at Amidon-Bowen Elementary School in the DC Public Schools (DCPS) in 2014. Harper has served as a teacher-coach for 3rd-5th grade reading teachers at Amidon-Bowen, professional development trainer for teachers across DCPS for English Language Arts (ELA), and written ELA Curriculum for DCPS. She currently is on her school’s Flamboyan Foundation Family Engagement Leadership Team and is a facilitator for DCPS’ Family Engagement Collaborative. Passionate about advocating for her students and her colleagues, Harper has served on the 2016-2017 DCPS Chancellor’s Teachers’ Cabinet and was a 2014 TeachPlus D.C. Federal Policy Fellow. Harper earned a Bachelor of Arts in English from Spelman College and a master’s in in education with a concentration in educational leadership from the Johns Hopkins University School of Education. To read Harper’s entire National Teacher of the Year Application, click here. Danielle Riha moved to Alaska in 1995 and fell in love with the state. Substitute teaching in Alaska inspired her to earn a teaching degree from the University of Alaska. Riha taught in rural Alaska for seven years with Southwest Region School District, where she learned the value of culturally responsive teaching which incorporated indigenous knowledge and developed a successful reading program that included Yup’ik elders in the classroom. In 2008, she was recruited to help open the Alaska Native Cultural Charter School where she helped develop culturally infused curriculum, created the Morning Gathering, and implemented Culture Week. Riha also works on the Alaska Humanities Forum Educational Advisory Board to help new teachers and all students understand and connect to indigenous culture and lifestyle and she helped create Math in the Cultural Context modules used in districts state-wide. Riha holds high expectations for every member of the learning community. She inspires everyone to be their best self and master personal challenges by recognizing strengths and working through difficulties. She believes that teachers must work collaboratively to form bonds that create supportive, successful learning communities. Riha holds a bachelor’s degree in education from the University of Alaska, a master’s in education from Grand Canyon University, and is working on her doctorate in education at Cappella University. To read Riha’s entire National Teacher of the Year Application, click here. Rodney Robinson is a 19-year teaching veteran. He became a teacher to honor his mother, who struggled to receive an education after being denied an education as a child due to segregation and poverty in rural Virginia. In 2015, Robinson started teaching at Virgie Binford Education Center, a school inside the Richmond Juvenile Detention Center, in an effort to better understand the school-to-prison pipeline. Robinson uses the whole child approach to education to help the students who are most vulnerable. His classroom is a collaborative partnership between himself and his students and is anchored in him providing a civic centered education that promotes social-emotional growth. Robinson uses the knowledge he has gained from his students to develop alternative programs to prevent students from entering the school-to-prison pipeline. Robinson has been published three times by Yale University and has received numerous awards for his accomplishments in and out of the classroom, most notably the R.E.B. Award for Teaching Excellence. He is a member of Richmond Mayor Levar Stoney’s Education Compact Team, which includes politicians, educators, business leaders, and community leaders, and is working with city leaders and local colleges to recruit underrepresented male teachers into the field of education. He has also worked with Pulitzer Award winning author James Foreman on developing curriculum units on race, class, and punishment as a part of the Yale Teacher’s Institute. Robinson earned a Bachelor of arts in history from Virginia State University and a master’s in educational administration and supervision from Virginia Commonwealth University. To read Robinson’s entire National Teacher of the Year Application, click here.